It’s almost fall, and that means new waterfowl hunting gear and accessories will soon be available. Rather than wait to get your waterfowl catalogs from the large sporting goods stores, we’ve compiled this list of the top 10 new waterfowl gear for 2019 so you can get your must have duck hunting gear before they sell out for the season. Any avid waterfowl hunter knows that being cold and miserable can ruin the experience. Lacrosse looks to solve this with their new for 2019 release of the Super Brush Tuff 1200-gram Waders in Realtree MAX-5 camo. Constructed of abrasion resistant neoprene, reinforced knee pads, and 1,200-gram Thinsulate Ultra insulated boots, these duck hunting waders combine all the latest technology to keep you warm and dry during hunting season. Click to see it Amazon. Cabela’s new hunting gear for 2019 features the MT050 Rain Jacket with GORE-TEX. 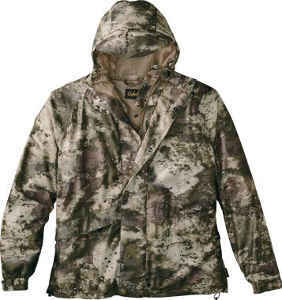 This lightweight and breathable hunting jacket can be stored into its own compact pocket when not in use. Made out of GORE-TEX, the MT050 provides plenty of warmth and protection from the elements. It retains the quietness of fleece in an all-weather package. The MT050 jacket is one of the must have duck hunting gear for 2019. Click to see it at Cabelas. New for 2019, Federal has released its Black Could TSS product lineup that is sure to draw the attention of many. Tungsten Super Shot (TSS) is an 18 g/cc tungsten pellet that travels further and delivers more energy down range than conventional steel (7.8 g/cc) and other non-toxic loads. Just to give you an idea of the effectiveness of TSS, it is to Hevishot (12g/cc), what Hevishot is to steel. 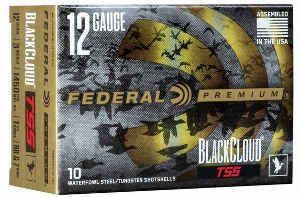 Federal Black Cloud TSS looks to increase pattern density by combining (or duplexing) smaller TSS shot with larger steel pellets. Initial Federal TSS reviews look good, so keep an eye out for them this fall. Waterfowl Blind Bags are an essential item to get everything you need to the duck blind safely and securely. 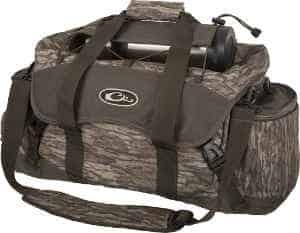 Drake’s new Waterfowl Floating Blind Bag 2.0 comes in both large and extra-large bags with 18 and 20 pockets, respectively. Two built in liners create a waterproof barrier from the top to bottom. 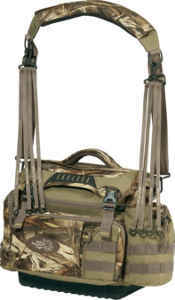 Other features include an adjustable shoulder strap, see-through map pocket, sunglass holder, and gun case loops. Click to see it at Cabelas. Avian-X has redesigned their Topflight Mallard Decoys for 2019 with bolder colors that draw birds in from greater distances. Realism is the key, and the paint scheme combined with the 4 natural body positions makes these mallard decoys some of the best for this year. 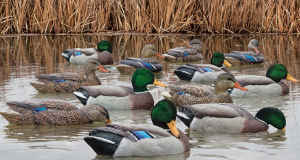 Topflight decoys have flocked heads to reduce glare which helps add to the overall realism of your spread. Body positions include feeding, resting, swimming and preening. Avian-X includes a handy slotted decoy bag with each 12-pack to protect the decoys to the blind. Getting down to the duck hunting gear basics, these decoys are the right path forward to improving your duck hunting success. Click to see them at Amazon. To get Canada Geese in close, you need a spread that looks life like. Dakota Decoy has always made top of the line goose decoys, but for 2019, the Signature Series goes one step further. With realism unmatched, the Dakota Signature Series features 5 different poses in a one-piece design for easy setup. Wind Walker bases help to give them a wobble in windy conditions and keep them pointed in the right direction. 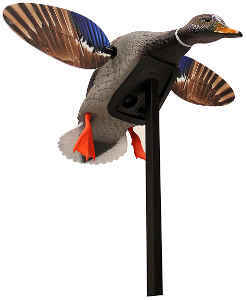 When realism counts, Dakota Decoy’s are always at the top of the list. Click to see them at Cabelas. Mojo is the leading waterfowl manufacturer for spinning wing decoys, and their 2019 decoy lineup includes not only the King Mallard, but the Mini Mallard Drake as well. The mini mallard mojo duck is a smaller spinning wing decoy making it perfect for long hikes or scenarios where subtle attention is better. It comes with magnetic wing attachments so you won’t be fumbling with bolts or screws that are easily lost in the early morning darkness. The entire body is removable to access the internals, and it’s operated by 4 AA batteries. The motor itself is mounted directly to the support pole to reduce body vibration and ensure quiet operation. Click to see it at Amazon. 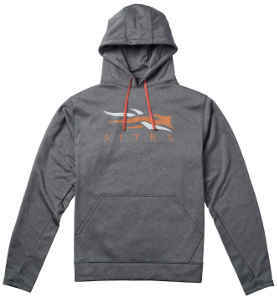 Sitka is known for its comfortable all weather hunting gear, and their new Hoodie is no different. The comfortable quick dry fabric helps to wick away moisture and keep you warm and dry. The classic cut of the Sitka Hoodie allows for great mobility and less binding in tight quarters. Its drawcord hood gives you protection from the wind and inclement weather. Click to see it at Cabelas. 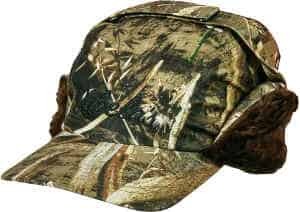 Waterfowl Hats are essential duck hunting gear because they keep your head and ears warm while adding camouflage to prevent ducks and geese from flaring. They can also help block your eyes from the sun and provide some protection from the rain and snow. Cabelas Woodsman Cap does all this and is everything we like to see in a waterfowl hat from functionality to fit. Not your standard ball cap, the Woodsman Hat is made out of all-weather Thinsulate material that is 100% waterproof and wind proof. The ear flaps fold down to keep your ears warm and are lined with faux fur. When that next cold front blows through, you’ll be glad you had a pair of these. Click to see it at Cabelas. Cabelas Northern Flight Blind Bag is designed to be worn as a sling over your shoulder for easy carrying. Cabelas incorporated a ton of aspects into this blind bag that have set the bar extremely high for other blind bag manufacturers to follow. It’s equipped with a molded EVA bottom that’s water and mud resistant so you can set it down almost anywhere. This is in additional to the internal polyurethane liner that makes the bag completely waterproof. Two duck straps with 4 loops each are attached from the shoulder sling. Divided inner pockets help to keep gear organized and packed tightly. Click to see it at Cabelas. What game will you be hunting in 2019? Whether you’re looking for new hunting clothing or decoys for 2019, you’ve come to the right place. Our top 10 list of new hunting gear covers a wide range of items that are set to be extremely popular in 2019. The new Avian-X Top Flight Mallard Decoys are some of the most realistic mallard decoys we’ve seen, and the Federal Black Could TSS shotgun shells are an interesting concept that could become a ballistic juggernaut. This year looks to be another great waterfowling season and new hunting gear for 2019 provides an innovative look into interesting products that will help make waterfowl hunting more enjoyable and rewarding.